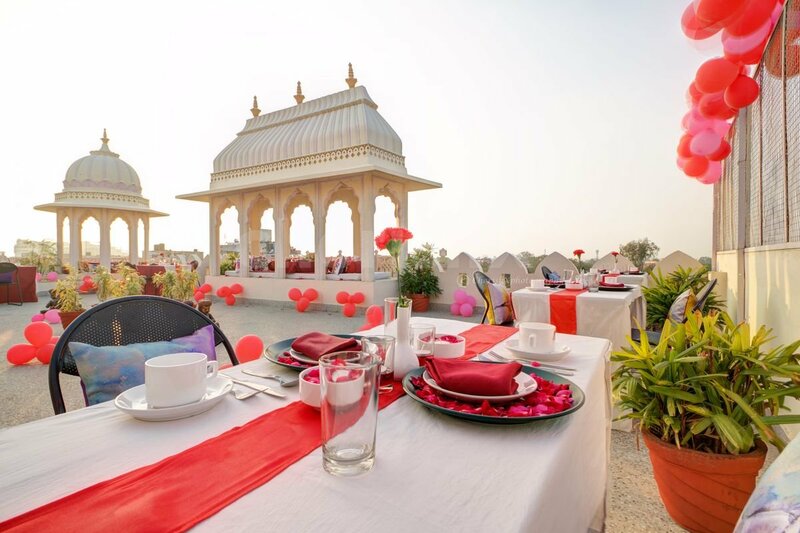 Pamper your partner and yourself with a beautiful, mesmerizing, spellbinding, romantic 3 course dinner on a beautifully decorated exclusive table, so that you can spend some special time with your beloved one. 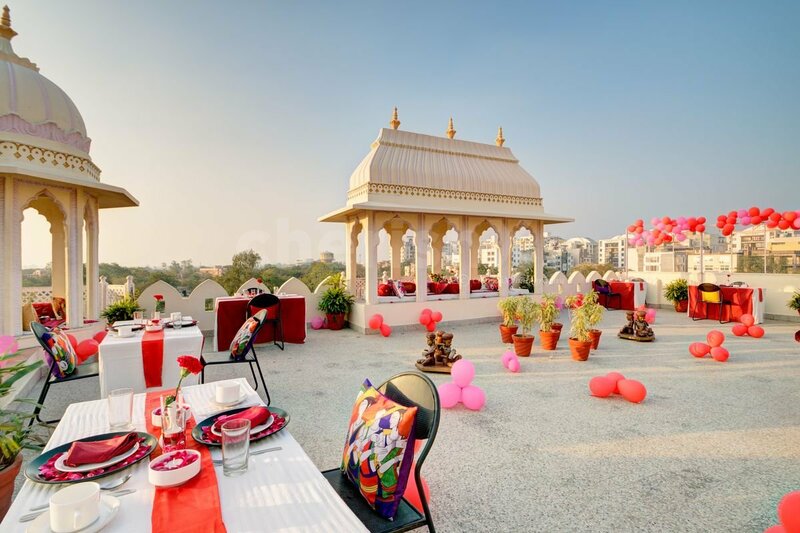 Planning a date here at this beautiful ambience located at subhash nagar road, you will be offered a very soothing and relaxing environment with the mesmerizing dinner setup at the rooftop with flower petal and candle decorated chair table. 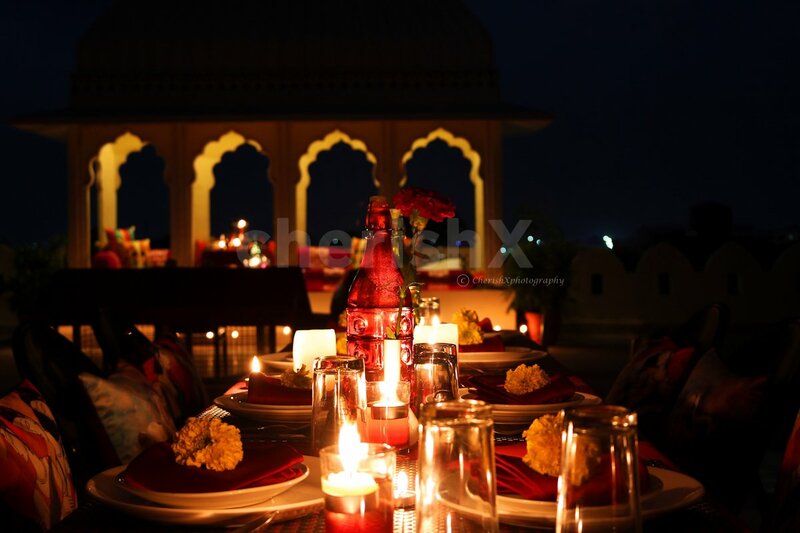 And this is not enough, to make it more romantic and memorable, we provide you the most delicious three course meal ever. 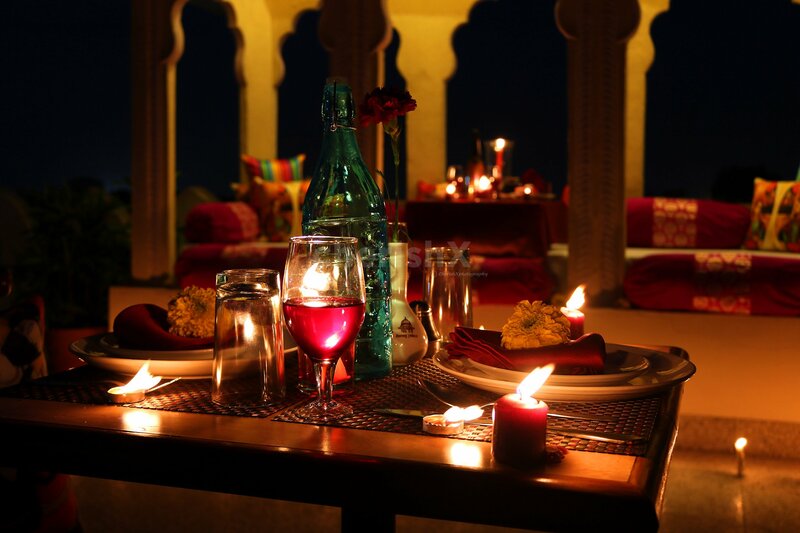 We have a welcome surprise mocktails for you and your partner, continuing with your 3 course meal. Apart from that, if in case the weather isn’t in the favor then you definitely don’t have to get worried because an alternative is right here. 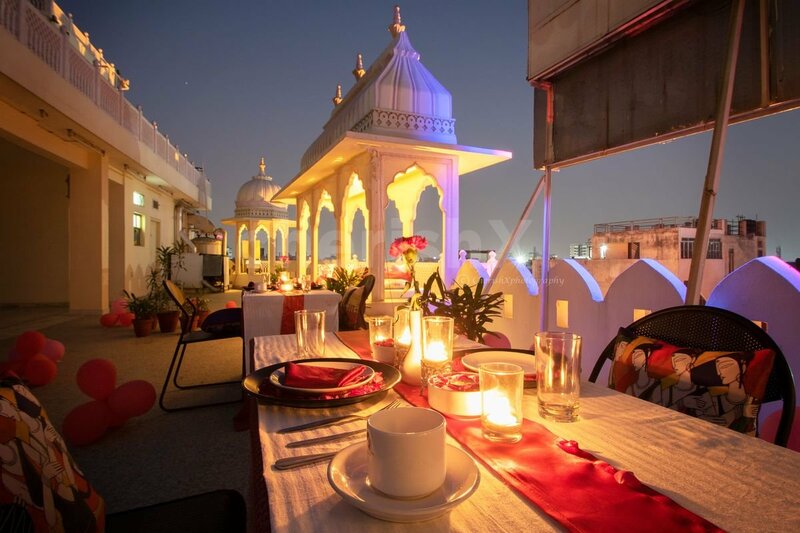 The convenient arrangement is made indoor, where you are served with the facility of AC restaurant and also the entire area is done up with light rose petals and candles. 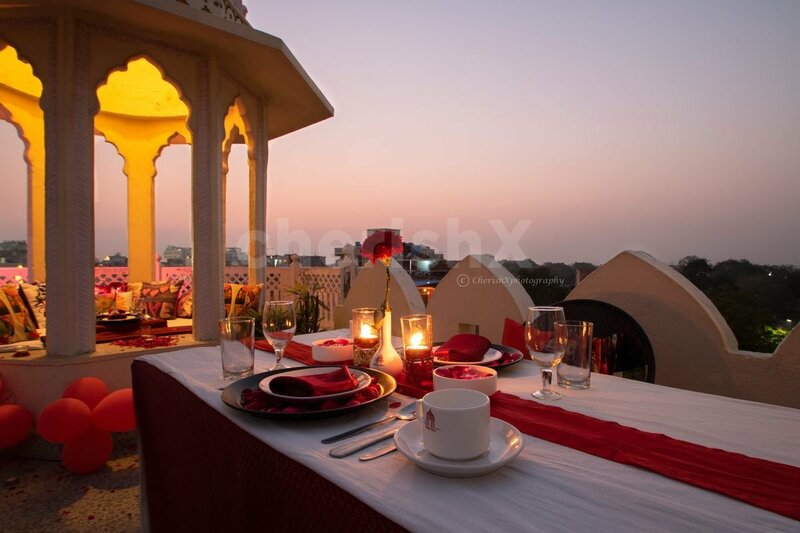 To make the things really rock you can ask for customizations like a guitarist or a .flower bouquet or a cake depending upon your preferences. 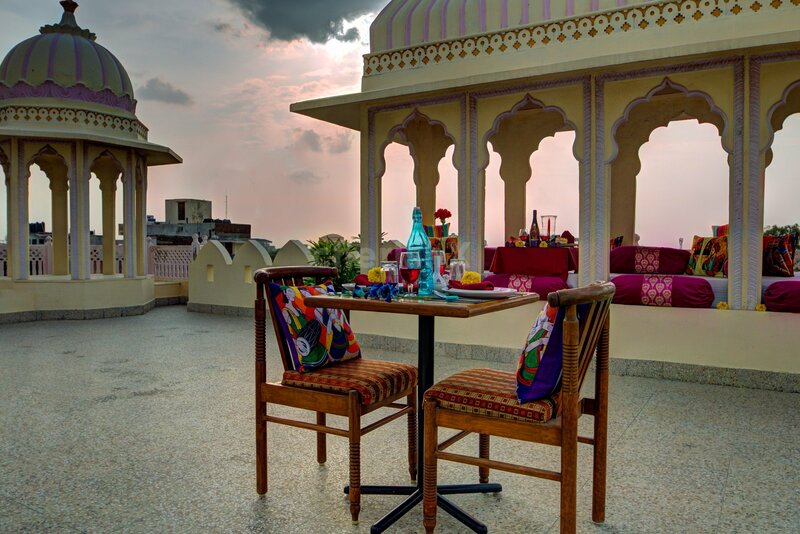 Upgrade to private baradari royal dining.